Trek 2018 FX3, Shimano EF65, 9 speed Flat bar shifters. Installed Sqlab 411 innerbar ends for hand placement options. I have had to rotate the brake / shifter assembly down to a near verticle drop from the handgrips to allow enough travel for the outer lever to shift. There seems to be a lot of travel before it 'clicks' and was wondering if there is any adjustment. Have not taken the cover off yet, but will check tonight. The bar end seem comfortable if the brake levers are adjusted up, but the clamp for the barends limits travel. Do manuals exist for these shifters? Thanks! Do manuals exist for these shifters? 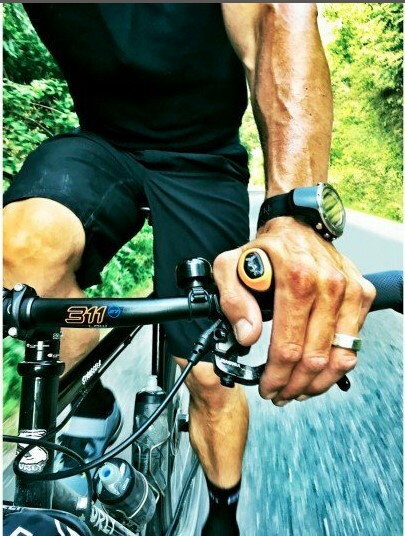 si.shimano.com is always the first place to look for Shimano maintenance info. Well I guess they are going back. Felt good when I first installed them but then the shifter issue. When I got them to shift brake levers are inconvenient. Oh well. Maybe I can cut down something with a thinner clamp. Thanks for the assist! 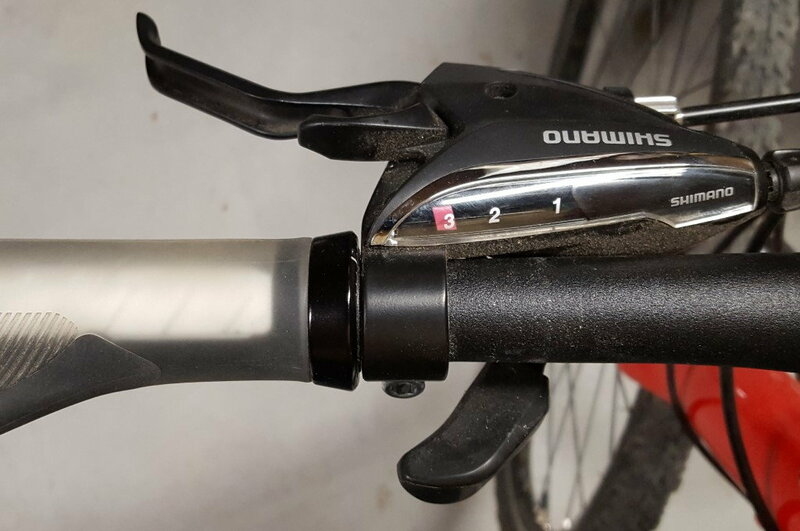 Have you considered mounting them on the other side of the shifter mount (toward the stem)? I was hoping for the result shown in the image I stolt from subgrade in the thread 'Flats Bars or drops' where you are still able to grab the brakes and access the shifters. But with the outer lever not setting until it is 5/16 of an inch from the bar there was just no way the fit the sqlab 411 the way I want. The way the shifter is designed the bar will really only fit between the grips and the shifter.